Princess Diana's former butler said Sunday he believes the royal family understands why he wrote a book — and is now mounting a one-man stage show — about his relationship with the princess. 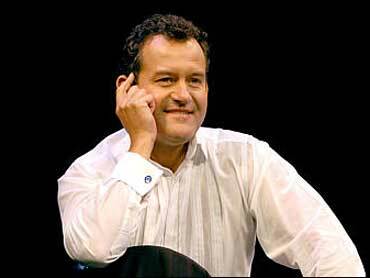 Paul Burrell, a longtime royal servant whom Diana called "my rock," was vilified in the press and criticized by the princess' friends and family when he published his book, "A Royal Duty," last year. He has now taken his memories of Diana onstage in a show that ran Sunday at London's Theater Royal Drury Lane and plays New York's Town Hall Theater June 24 and 25. "I think they understand why I had to do this," Burrell said of the royals before performing Sunday. "I had to once and for all justify my relationship with one of the world's most unique and inspirational people." "A lot has been written about me in the last few years," he added. "And it's my chance now to actually interact with the audience and say this is me, this is who I am. And I'm very proud of who I am." Burrell was tried in 2002 for stealing hundreds of items from the estate of Diana, who was killed in a Paris car crash in 1997. The case collapsed when Queen Elizabeth II told prosecutors that Burrell told her he was holding some of Diana's things for safekeeping. His book painted an intimate picture of Diana's private life. It included extracts from testy letters between Diana and her father-in-law, Prince Philip, and a letter from the princess' brother that expressed fears for her mental state. Diana's sons, Prince William and Prince Harry, called the book "a cold and overt betrayal" that would have "mortified" Diana. In the stage show, "In His Own Words," Burrell asks his audience to "judge me on what I have to say." Some in the audience were skeptical. "I'm not sure he's doing it for the right reasons," said Amanda Hurley, who came to see the show from her home in Manchester, northern England. "I just want to see what he's going to say. I'd like to ask him if he thought Diana was murdered." But Michael Woodward said he and his mother, Betty, came to show their support for Burrell and for Princess Diana. "He really did love her," Woodward said. "He's not going to let her memory go."